By the late eighteenth century and the beginning of the nineteenth century, wells were being dug deeper and deeper below London in an attempt to get a sufficient supply of clean drinking water. The population of the metropolis was fast outgrowing its water supply and the capacity of its primitive drainage system to deal with sewage. Human waste from leaking drains often contaminated the underground water table and wells sunk into it. Water-borne disease such as typhoid was on the increase. William Smith knew from local enquiries about the nature of the rock encountered when these deeper wells were sunk that 'the same Clay under London [is] proved by deep Wells as in the opposite high ground of Epping Forest and the same as in Highgate and Hampstead Hills'. As a result, Smith depicted the London Clay as extending from Hounslow Heath to the west of the city, right under it eastwards nearly to the sea, with outcrops at the mouth of the Thames estuary, around Southend and the Isle of Sheppey, or 'Sheepy' as Smith called it. Primitive found in the London Clay, but as demand outstripped the supply of the nodules, a mixture of river mud and chalk was used. Meanwhile, London Clay was increasingly used for the manufacture of the bricks required to build the sprawling suburbs of London as it became industrialised. Wood became expensive as forests were felled and supplies dwindled. Also, it was a notorious fire hazard as a building material, especially when combined with thatched roofs and open fires as the city's numerous major conflagrations over the centuries had shown, none more so than the Great Fire of London in 1666. Until the 1830s, bricks were made from roadsweepings and refuse and were fired by the combustion of their inflammable content. But then demand became so high that new sources such as the London Clay had to be used and coal imported to fuel the kilns. Smith also noted that the same wells sunk through the Clay penetrated 'into the Chalk [which] shows the absurdity of the common opinion that Blackheath contains coal'. As we shall see, London's coal had to be brought a long way by cart and ship. It had been known for some time that, in places, the London Clay was very fossiliferous. John Evelyn had first reported the existence of plant-related fossils from the London Clay back in 1668. Since then, some 300 species and 35 genera of fossil plant have been described from the Isle of Sheppey in the Thames estuary. The proximity of these fossil-bearing deposits to London meant that many gentlemen collectors who were generally interested in natural curios came to hear about them through intricate supply chains. Networks of working-class locals, especially women and children, searched out specimens, commonly known as figs because of their brown wrinkled appearance, on the muddy and often fog-swathed foreshores. Prize specimens were fed through dealers and middlemen to the people who were prepared to pay for them. Most of the fossils are the mineralised seeds of flowering plants along with the teeth of many different kinds of sharks, bony fish and reptiles, along with bits of turtle and so on. James Parsons, 1705-70, London physician, antiquary and naturalist who published medical treatises and was foreign secretary of the Royal Society. The foreshore muddy outcrops of the London Clay in the Thames estuary provided rich fossil 'pickings' for locals who sold them to gentlemen collectors, not that the locals were paid much for their efforts. latitude vegetation. This was one of the first connections to be made between fossil plants and ancient climates, and a remarkably accurate one at that. James Scott Bowerbank, 1797-1877, partner in a London distillery and lectured on botany (1822-4). He was co-founder of the London Clay Club (1836) and the Palaeontographical Society (1847) and elected as a Fellow of the Royal Society in 1842. Modern analysis of the fossils of the London Clay supports Francis Crow's view that they are the remains of a lush coastal subtropical broadleaf forest that was washed into a nearby warm shallow sea teeming with fish, turtles and crocodiles. Plant fossils include representatives of the sumac, custard apple, palm, dogwood and frankincense families, along with newly evolving mammals such as dog-sized primitive horses. And we now know that the London Clay is of early Eocene age and some 50 million years old. Consequently, there is a big time gap between the overlying Pleistocene deposits and these Eocene ones. Not that Smith was aware of it, nor was he particularly concerned with the new academic fashion for producing hierarchical classifications of strata such as those generated by Lyell. While a student in Oxford in the first decade of the nineteenth century, Lyell had attended some of Buckland's lectures on geology. Like many others who were stimulated by both the content of the lectures and Buckland's unusually popular style of delivery, Lyell soon set off for the continent to make his own geological Grand Tour, investigating any geological phenomena he encountered along the way and collecting fossils. On graduating from Oxford, he began training as a barrister at Lincoln's Inn in London and soon became a Fellow of London's newly fashionable scientific clubs, the Geological Society and the Linnaean Society. Membership (or fellowship as it is called) was not automatic: new recruits had to be proposed and seconded by two or more existing Fellows, which was a well-established means of retaining their social exclusivity. Being a mere surveyor of a rural artisan background, Smith was not acceptable, but Charles Lyell was a 'gentleman' of well-to-do Scottish background. With his Oxford University education, Lyell was eminently acceptable. He soon became more interested in geology than studying the law and in 1823 was elected as Secretary of the Geological Society. He managed to resist his father's continuing pressure to continue with his legal studies. Lyell was of sufficiently independent mind and means to devote the rest of his life to the new science of geology and made a very great success of it too. The honorary office of Secretary in the organisation of the Geological Society involved a considerable amount of unpaid work. But it brought him into the close network of the most active and eminent geologists of the time and before long he was off on geological excursions to Scotland with his old professor Buckland and to the continent, where he met von Humboldt, Cuvier and Brongniart. In 1828 Lyell returned to the continent with the newly married Roderick Murchison and his wife Charlotte. The two young men geologised wherever they went, making arduous excursions on foot into the surrounding mountains and hills, while Charlotte Murchison made accomplished sketches of the scenery and geological phenomena and collected fossils. Towards the end of 1828 Lyell went his own way and travelled the length of Italy right down to Sicily, making a careful study of the Tertiary strata as he went. He took every opportunity to quiz local experts and examine their fossil collections, discovering similarities with fossils he had seen in the Bordeaux region of southern France. On his way back to London, Lyell visited Jules Desnoyers in Paris and discussed the possibility of subdividing the Tertiary strata with him. Desnoyers told him that his colleague and fellow countryman Gerard Deshayes had been thinking along similar lines and was basing his ideas on 'the comparative proportion of living species of shells found fossil in each (subdivision)'. Gerard Paul Deshayes, 1796-1896, French naturalist and professor of conchology at the National Museum of Natural History in Paris (from 1869). Lyell later recalled that by January 1829 he had fully decided on attempting to establish four subdivisions of the great tertiary epoch, the same which are fully illustrated in the present work [the 3rd volume of his Principles of Geology, published in 1833]. I consider the basin of Paris and London to be the type of the first division (the Eocene); the beds of the Superga, of the second (Miocene); the Subappenine strata of northern Italy, of the third (older Pliocene); and Ischia and Val di Noto of the fourth (newer Pliocene). His purpose in publishing this retrospective claim that he had intended making his subdivision before he visited Desnoyers and Deshayes was to help establish the priority of his developing ideas and subdivision. Lyell visited Deshayes as soon as possible and heard that he recognised three not four subdivisions. 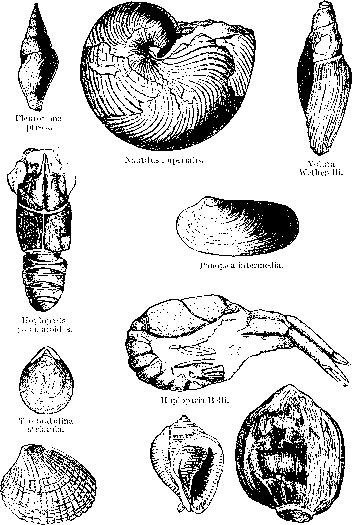 Deshayes agreed to look over Lyell's Italian shells and prepare tables showing which species were in common between the different chronological divisions and which belonged to still-living species. It was some task and took Deshayes the best part of two years, as Lyell had amassed a collection of over 40,000 specimens belonging to some 8000 species. While Deshayes was hard at work, Lyell returned to London where he finished writing the first volume of his monumental work, which was to establish him as one of the foremost geologists of the century. This first part of Lyell's Principles of Geology, being an Attempt to Explain the Former Changes of the Earth's Surface, by References to Causes Now in Operation was published in 1830, in time for Charles Darwin to take a copy with him on the voyage of the Beagle with Captain Fitzroy. By the time the third volume was published, Deshayes had finished his tabulation of the chronological distribution of fossils through the Tertiary strata. From this Lyell carried out a simple mathematical analysis of the proportional distribution of species in the subdivisions of strata that he recognised. He found that 90 per cent of the fossils of the newer Pliocene were still living, whereas in the older Pliocene the proportion of recent species varies from upwards of a third to somewhat more than half of the entire number; but it must be recollected, that this relation to the recent epoch is only one of its zoological characters, and that certain peculiar species of testacea also distinguish its deposits from all other strata. Lyell noted that the relationship of the Pliocene and underlying Miocene is to be seen in northern Italy. The Miocene is distinguished by having a proportion of 'rather less than eighteen in one hundred' living species. Lyell had originally selected the Superga Hills near Turin as exposing typical Miocene strata, but by 1833 had changed his mind and selected the Touraine basin of France, where the relationship with the underlying and older Eocene strata can be seen. 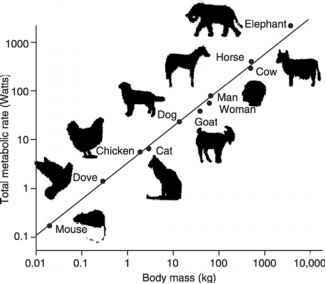 Finally, the latter have the lowest proportion of living species - around 3.5 per cent. Importantly, he also said that further divisions might be recognised in future, which indeed they were. The Oligocene was distinguished between the Miocene and Eocene and was named by the German palaeontologist von Beyrich in 1854. And then another German, W. Philipp Schimper, carved out the Palaeocene as the oldest of the Tertiary divisions below the Eocene. Charles Lyell realised that these Roman columns were bored by marine molluscs and had therefore been submerged and resurrected by earth movements associated with the nearby volcano of Vesuvius. Heinrich Ernst von Beyrich, 1815-96, defined the Oligocene System in 1854. He was a German professor of palaeontology in Berlin, co-founder of the German Geological Society (1848) and first director of the Prussian Geological Survey. and evidence for changing sea levels. At Pozzuoli near Naples he visited the seaside ruins of a Roman building (known as the Temple of Serapis). Its three remaining stone columns are conspicuously bored by marine molluscs (similar to 'shipworms') at some height above their base, showing that they had been submerged at some time in the past and then re-elevated from beneath the waves. As Lyell realised, the implication is that over some 2000 years since it was built the 'Temple' had been down and then up through some 10 metres without being completely toppled. And he concluded that significant geological change could occur gradually, not catastrophically as Cuvier claimed. However, the lower part of the columns is not bored, showing that at least a significant part of the elevation happened rather suddenly. The controlling factor is the nearby volcano of Vesuvius. All was grist to Lyell's geological mill, for he was becoming an assiduous gatherer of geological information and ideas about its interpretation. With his legal training and ability to argue any case from either the 'prosecution' or 'defence' side and then come to a judgment, it was a role he was ideally suited for. Lyell was building on the work and principles of his great Scottish geological hero, James Hutton. Accordingly, it was only through the study of present processes that the geological past could be interpreted and understood, a methodological approach that was soon labelled (in 1832) as 'uniformitarian' by the Cambridge polymath William Whewell. Moreover, although there is constant gradual change manifested by many geological processes, the changes are cyclical and without progression. Wilhelm Philipp Schimper, 1808-80, cousin of Karl and also a botanist, author of the Traite de Paléontologie Vegetale (1869-74), director of the Strasbourg Museum and professor in the university. William Whewell, 1794-1866, professor of mineralogy at Cambridge (1828-38), then moral theology (1838-55), master of Trinity College and Vice-Chancellor of the University who wrote an highly influential History of the Inductive Sciences (1837). In Sicily Lyell also studied Mount Etna and the history of its eruptions. Knowing its height and approximate rate of increase from eruptions of lava (assuming that its rate of growth was constant - a false assumption, by the way), he estimated that it must have taken over several hundred thousand years to grow to its present size. Now, Lyell also found fossiliferous strata beneath the oldest lavas and observed that many of the species were identical with those still living in the nearby Mediterranean, thus these apparently 'recent' strata had to be of a yet greater age than the volcano and were consequently very ancient compared with the human historical timescale. The further implication was that stratigraphically lower Tertiary strata with fewer extant species had to be even older, and so on. It was soon realised that the British record of Tertiary deposits is limited to a certain few intervals of the Eocene, which were laid down in relatively quiet water nearshore and transitional marine-freshwater environments. Some of these (such as the outcrops of London Clay at Sheppey and Bognor Regis in Sussex) have become of international importance for their fossil record of the life of the times and the nature of the environments. Interpretation of such deposits and their fossils tells us that global climates changed significantly through the Tertiary. Initially, temperatures rose to a peak in Eocene times and then progressively cooled, with the first ice sheet appearing in Antarctica in early Oligocene times, although permanent glaciation did not appear until mid-Miocene times when glaciers may have formed in Greenland. In more detail, the Palaeocene-Eocene transition, around 56 million years ago, was a phase of warm global climates and generally high sea levels, with polar broad-leaved deciduous forests extending high into the Arctic circle. Nevertheless, the fossil plant records show variation in vegetation throughout the interval, in response to both climate change and latitudinal position. During the latest Palaeocene times, around 55.1 million years ago, there was a very short-lived phase of warming followed by a marked cooling around 54.2 million years ago. There has been speculation that the warm phase was a greenhouse effect caused by a catastrophic release of gas hydrates from within ocean floor sediments, perhaps initiated by contemporary volcanism. Southern Britain supported freshwater mires and relatively low-diversity, patchy forest-woodland populated with warm-loving, deciduous flowering plants. Further north in Scotland, similar flowering plants were more associated with conifers and ferns. By contrast, the floras of the earliest Eocene (lowest strata of the London Clay) indicate the early development of a frost-free paratropical rainforest-type vegetation, very similar in structure to that of the present-day paratropical rainforest. There were significant differences between the geography of Tertiary times and that of today, including a northward plate movement of Britain over some 8 degrees of latitude. Also important in the Northern Hemisphere context was the persistence of a land connection between Europe and North America, which allowed continued interchange of plants and animals. However, by late Palaeocene times increasing igneous activity related to increasing heat flow within the Earth's crust below East Greenland led to extensive extrusive vulcanicity. The whole region was elevated to form a landmass that encompassed much of present-day Scotland and what is now the largely submerged area between Orkney and Shetland. The uplift and erosion of this landmass led to large-scale deposition of eroded sediment in the adjacent basins of the North Sea and Faroe-Shetland regions, where Tertiary sediment reached maximum thicknesses of 3 and 4 km respectively. There is no doubt that the Tertiary age deposits were formerly more extensive over Britain. It is thought that the 'clay with flints' that blankets much of the Chalk is made up of the weathered residues of these deposits. The widespread vulcanicity eventually led to extensive rifting, both to the northwest and northeast of the British Isles. And in turn, this led to progressive opening, beginning around 55 million years ago, of the North Atlantic as new ocean crust was formed. The new ocean extended northwards from the Central Atlantic and finally severed the land connection between Europe and North America and isolated Greenland. For the first time, the British Isles came into existence as a geological entity separate from North America and became part of Eurasia instead. As we shall see (p. 220), the original geological 'parentage' of the southeastern part of the British Isles and Ireland is very surprising, but for around 350 million years the region had been an integral part of an extensive continental mass, known as Laurussia, stretching north through Scandinavia and northern Europe into Russia. In early Tertiary times as the Atlantic opened northwards, this continent was rent in two. North America and Greenland were left on one side, while Scotland and northwestern Ireland, which had been part of North America, were torn away as part of Eurasia, the eastern continental mass of Ireland, Britain, northern Europe and, by now, the vast mass of Asia. In the west of Scotland and northeast of Ireland, this phase of intense volcanic activity formed widespread flood basalt sequences associated with lava shields, large volcanoes and shallow intrusive centres all spanning the interval from around 60.5-55 ma- The geological evidence for this is spread over the Western Isles of Scotland from Skye south to Mull, the small isle of Staffa with the famous Fingal's Cave, celebrated by poets, painters and composers such as Mendelssohn, and on to the equally famous Giant's Causeway of County Antrim in the north of Ireland. The strange columnar formations of the lavas intrigued artists from the seventeenth century and puzzled naturalists. The rocks were central to a long-running debate between Wernerians, who argued that they were evidence for a primeval ocean, and Huttonians, who argued that they were evidently the result of volcanic eruptions of molten magma. The latter were right and we now know that the columns result from cooling and shrinking of thick lava flows, which then crack into polygonal jointed columns. The igneous activity was intermittent with periods of rapid growth of the lava fields and intrusion of a variety of igneous bodies, followed by significant hiatuses during which weathering and erosion allowed the development of relatively mature vegetated landscapes, whose deposits and fossil remains are to be found within the plateau basalts. Evidence of this Palaeocene volcanism is also present in the south of England, where airborne pyroclastic material has been preserved as ash layers in the basal strata of the London Clay. In comparison, southern Britain was less elevated and two structural basins, known as the London and Hampshire Basins, were formed from a single structural 'low' that originally covered much of today's North Sea region, the Low Countries of Belgium, northeast France and southeast England. The formation of the elevated Weald-Artois 'high', which just extended into southeast England from Europe, split the original structural basin in two. High global sea levels resulted in these structural lows also being sites of shallow water deposition, with extensive alluvial plains and marshes and brackish to freshwaters dominated by fine-grained mud deposits. Open marine conditions lay to the northeast in the North Sea region and to the southwest in the Western Channel. By latest Palaeocene to early Eocene times, the shallow seas had extended over much of southern England, interconnecting the London and Hampshire Basins and flooding over the Low Countries. Subsequently, in late Eocene to early Oligocene times, retreat of the shallow seas led to separation of the two basins and extension of the Weald-Artois 'high' as a land bridge to Europe.